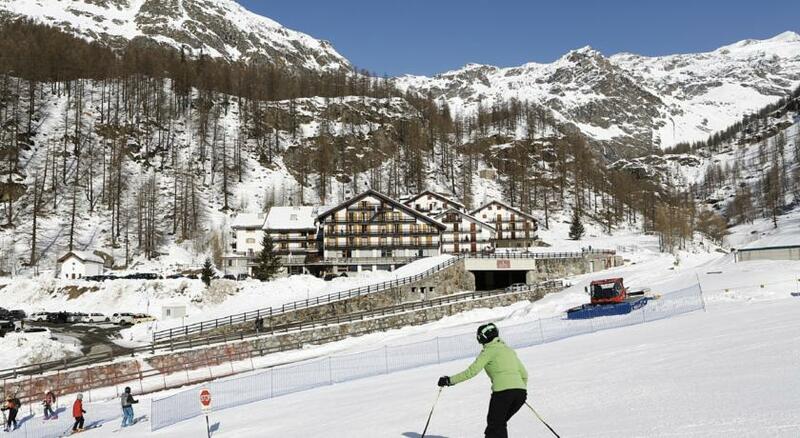 The Monterosa’s three valleys are comparable to the Trois Vallees in France in terms of the physical relationship of the main resorts, but they could hardly offer a more different ski experience. Much of the terrain remains undeveloped and perfect for off-piste skiing. While the crowds arrive for the weekends and peak holiday periods, for the most part, the skiing throughout Monterosa is on amazingly quiet pistes. Alagna is legendary for advanced off-piste itineraries, but the area as a whole has something to offer skiers at every level, including those who just want family friendly terrain with plenty of mountain restaurants and magnificent scenery. Our package is based at the (almost) ski in/ski out Hotel Monboso, located at the end of the beautiful Gressoney Valley, just 200m from the Staffal-Gabiet ski lifts from where you can ski up to Alagna and Champoluc. Set in a bright, chalet-style building in the Gressoney valley, this smart mountain-view lodge is just a few minutes walk to the Betta Forca and Gabiet ski lifts, accessing the entire Monterosa ski area. 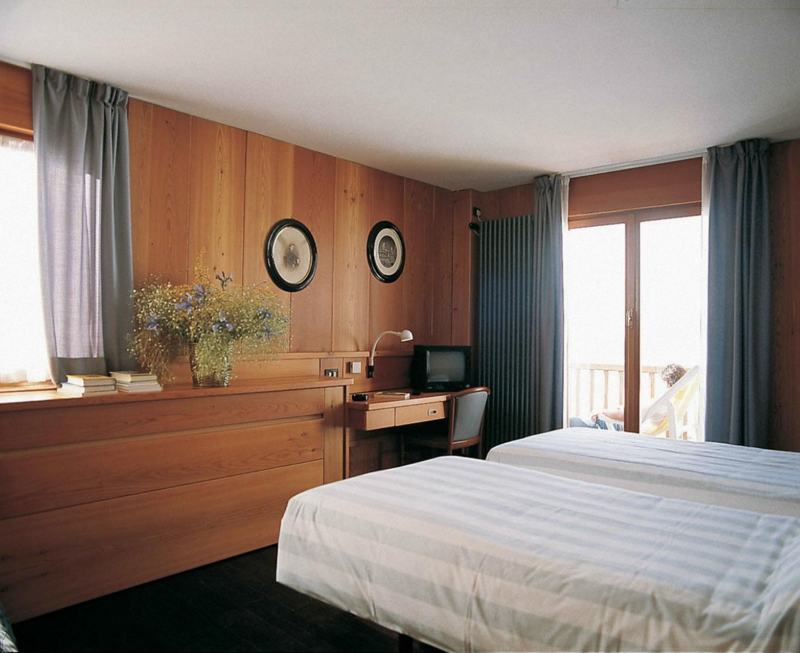 Low-key, simply furnished rooms with rustic accents have TVs, a safe, a TV, and a private bathroom with hairdryer. There’s a relaxed restaurant with a bar, and free Wi-Fi is available in common areas. There’s also a theatre/disco, fitness room, a wellness center with sauna, turkish bath and 2 whirlpool tubs, a gym, a ski room and an outdoor solarium. An excellent buffet breakfast and 4-course dinner menu is included as well as a drinks plan at dinner of ½ l. mineral water and ¼ l. wine per evening included. This trip may be added to our Ski Canada Magazine trip to Val Thorens, France, travelling Jan. 18 to 26. Including a one night stay in Geneva on Jan. 26th and a private transfer to Gressoney on Jan 27th, the extra cost comes to $1950.00 per person, double occ. This price is subject to change depending on the flight costs at time of reservation. Please phone us at 888-297 4786, or email us at travel@thevacationstation.com for more details of this package.